Most people interested in getting affordable homes at least know what foreclosures are, and many have thought about investing in this property type in the past. Whether you are a real estate investor looking to get started, or you just want an affordable home to live in, it’s important to understand what foreclosures are and to know how to work with them for best results. 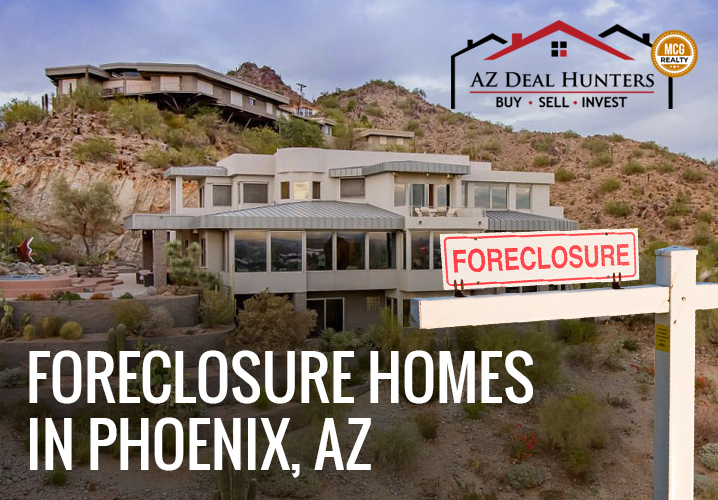 There are plenty of foreclosure homes in Phoenix, AZ, but you shouldn’t be purchasing any of them until you know more about them and how they work. Keep reading to learn all about foreclosures, foreclosure listings in Phoenix, AZ, and how to make a good purchase. Before you go out looking for foreclosure homes in Phoenix, AZ, it’s important to know what a foreclosure is in the first place. By taking the time to really learn what the term is, you’ll know exactly what you are getting when you look through those foreclosure listing in Phoenix, AZ and decide you want to buy homes in Scottsdale, AZ. Foreclosure is the process that a lender puts a homeowner through when they can no longer afford to make payments on their homes. All the foreclosure homes in Phoenix, AZ started off as the property of someone else, and that person had to give up on the property when they could no longer afford the payments for principal or interest on the home. To go through a foreclosure a homeowner must stop making payments on the home for many months at a time. Sometimes homeowners will go for a year or longer without making a payment before the bank will seize the home. After going long enough without making a payment, the bank will kick the owner out of the house, seize the home and then prepare it for resale. This is how foreclosures come to be, which is something that you should know before you go searching to buy homes in Scottsdale, AZ. Foreclosure is a gradual process that owners have to go through before they finally lose their homes. It’s not some rapid change that occurs in just a few days or even weeks. There are many different stages to a foreclosure. Learning the stages will help you understand the process a bit better, and will give you more context when looking at homes going through the process, though you’ll likely see condos for sale in Phoenix, AZ that have gone through a foreclosure as well. The first step to a foreclosure is missing payments for between three and six months. This puts the home into default and the lender must put in a Notice of Default at the county office. Once that record is in, it’s only a matter of time before this property becomes one of the items on foreclosure listings in Phoenix, AZ. After the default is on record, the homeowner is given three months to try and bring the house to current once again. If they can come up with all the money that they are behind on, and pay it into the lender, the foreclosure process is halted and the owner can go back to business as usual with their home. If the owner doesn’t pay what is owed, the next phase is to put the house up for auction, usually at a public location in the same county. The auction is open to the public and anyone is free to come and make a cash offer on the property. The full value for the home must be paid within 24 hours of making an offer, and the deed is transferred to the new owner from there. Most of the time when you’re looking through the foreclosure listings in Phoenix, AZ, or you decide to buy homes in Scottsdale, AZ that are under foreclosure, you need to be prepared to pay cash for the property. That’s because the county wants to get its money as soon as possible and it does not want to have to deal with loans or the process to confirm these funding sources. 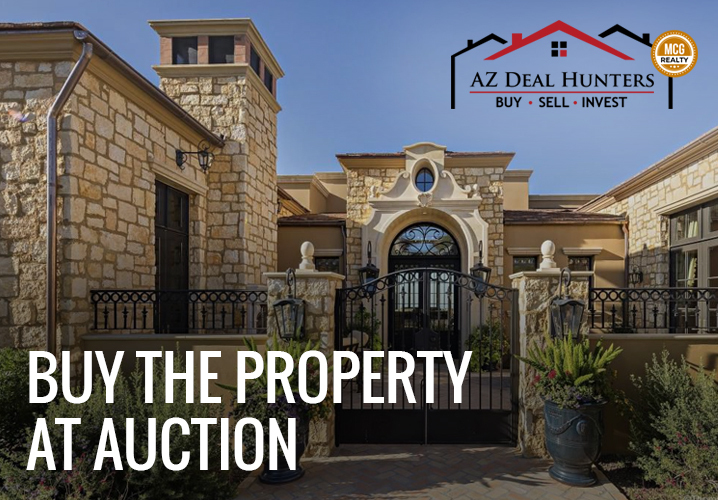 As a buyer of foreclosures looking at homes or condos for sale in Phoenix, AZ, you’ll want to have all the cash ready to go before hitting up the auction. Keep it in a bank account that’s ready to go, so you can complete the purchase as soon as possible. Most of the time foreclosed properties are more affordable than they would be if purchased at market value. This makes them an excellent option for investors looking to get properties for cheap. If you’re looking for foreclosure homes in Phoenix, AZ to purchase, you’ll be amazed at how affordable some of the properties are. With that said, that doesn’t mean that every foreclosure that you look at is a good deal. Some properties aren’t even worth what the bank is asking for them, or they are simply more trouble than they are worth. Be careful when buying a property from the foreclosure listings in Phoenix, AZ, because you could end up getting stuck with a deal that you simply won’t want to deal with. In that case, you’ll have to deal with the difficulty of selling off that property and all the complications that come with the home. It’s a good idea to assume that foreclosure homes in Phoenix, AZ will be damaged. Most of the time the owners that were struggling to keep up with mortgage payments, didn’t have money to spend on keeping the house in good condition either. For that reason, they likely let maintenance slide and there could be serious damage to the home that needs to be taken care of. Always assume that there are going to be some problems that require repair when purchasing a foreclosure because that’s often the case. Buying pre-foreclosures can result in fewer problems to deal with, but they come with their own complications when you want to buy homes in Scottsdale, AZ. Buying a foreclosed property means that you buy the debt that comes along with that property as well. That means, if you go to buy homes in Scottsdale, AZ that are under foreclosure, you could get stuck with a hefty tax bill as well. One major reason that homes are taken in Arizona is that of failure to pay taxes, and you could end up footing the bill for taxes that you didn’t know about after purchasing foreclosure homes in Phoenix, AZ. Make sure that you know about any taxes connected to the property before purchasing it. 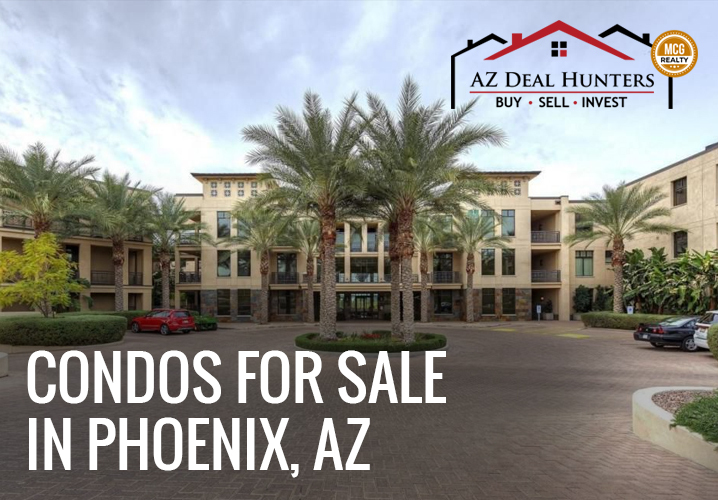 The same can be true for condos for sale in Phoenix, AZ, and there may be overdue HOA fees and other obligations with condos that you need to be aware of as well. 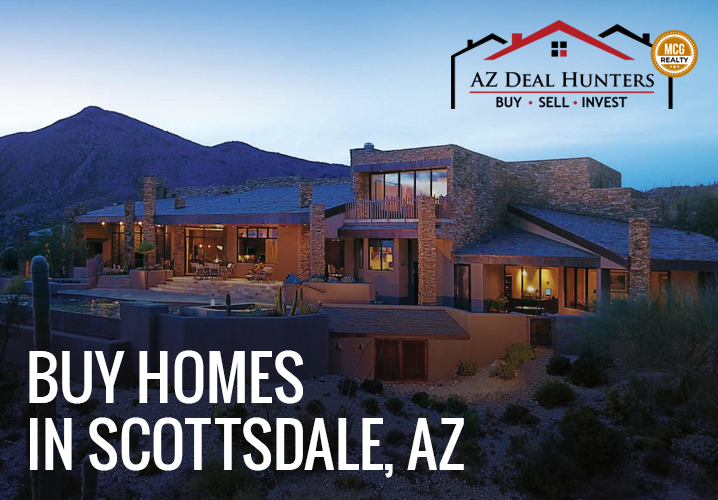 While auctions are a quick and easy way to buy homes in Scottsdale, AZ under foreclosure, the standard process to buy these homes isn’t quite so speedy. 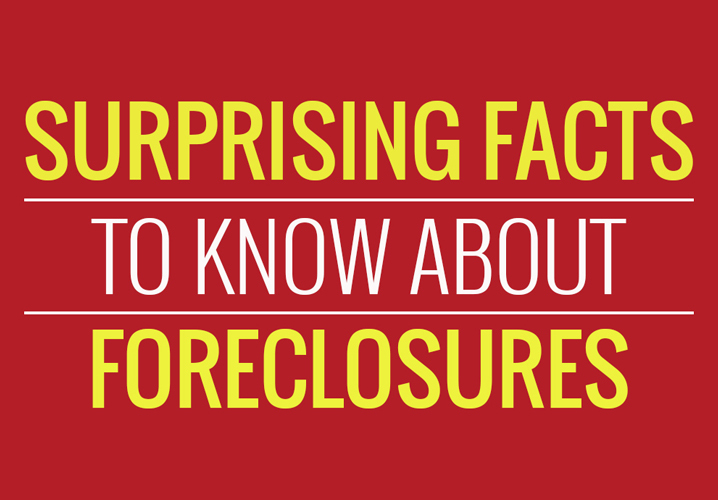 It can take months to purchase a foreclosure and there’s a whole bunch more paperwork to deal with as well. When dealing with one of these purchases, expect to wait weeks to hear back from the individuals in charge of the property, and expect the whole process to be a lot more time-consuming than a standard property purchase. There’s always a chance that you’ll lose out on foreclosure homes in Phoenix, AZ, even if the county wants to work with you. That’s because they are interested in getting as much money as possible out of the house. If someone comes along and offers a larger amount of money than what you offered, there’s a good chance you’ll lose the home and it will go to the highest bidder. Always be prepared to lose out on any condos for sale in Phoenix, AZ, as well as homes, when they are foreclosures. Purchases are never certain unless you buy the property at auction and pay immediately after. There are investors out there that utilize financing to purchase foreclosure homes in Phoenix, AZ, but generally, this strategy is not recommended. 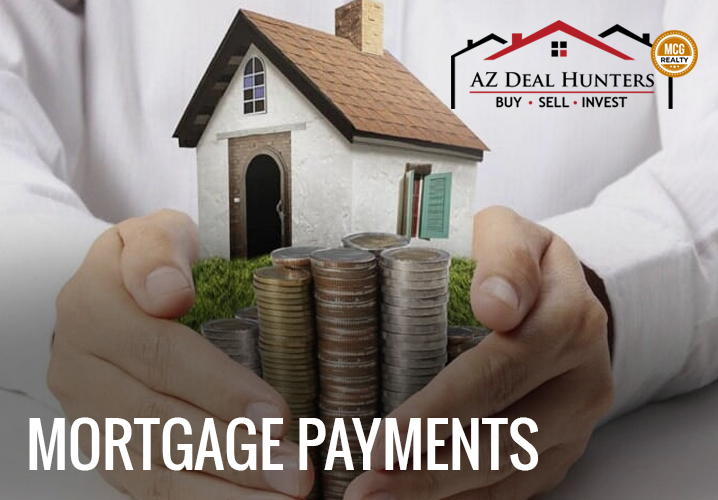 Most of the time it requires a non-standard mortgage to go through the process, and higher interest rates are common with these types of loans. It’s much more difficult to finance a foreclosure, and most investors that deal with them prefer to work with cash for all of the reasons mentioned up above. If you want to purchase a foreclosed property, try and pay with cash whenever possible. Sure, it might be necessary to go for funding, but that’s never the ideal solution. If you want to buy homes in Scottsdale, AZ, or the Phoenix area, don’t expect to purchase foreclosures easily. That’s because these markets are very active and investors are always looking for ways to save money on their property purchases. These properties are high value and even the items in foreclosure listings in Phoenix, AZ are being looked at by many different people. Standard homeowners, as well as investors, will be trying for many of these homes, and some will make full cash offers on them, which is pretty difficult to compete with. As an investor looking at foreclosure homes in Phoenix, AZ, don’t plan on renting out the property or selling it off too soon after making the purchase. There will likely be some repairs that need doing before the house can even be occupied. This is important to realize if you need to rent out the property soon after purchasing it to make the deal work. At the least, you should expect a few months worth of rehab before the property is ready to be rented out to someone. While there is plenty of room for negotiation when looking at condos for sale in Phoenix, AZ, or when trying to buy homes in Scottsdale, AZ when looking at foreclosures that’s often not the case. Most of the time these properties are being held by lenders that want to get rid of them as soon as possible. These lenders are already offering huge discounts off the home value, and few will want to go much lower. You should expect to pay around the asking price, and in many instances to pay more than that if there are other people interested in the property. Make sure that you understand foreclosure homes in Phoenix, AZ well enough to know when a property is a good deal and when you should walk away, in order to avoid paying too much for a home. If you know that you’re going after a property that’s already catching lots of interest from other people, consider making a higher offer initially. By going above and beyond the price listed on the foreclosure listings in Phoenix, AZ, you’re making it harder for the lender to turn down your offer and wait around for better ones to come in. If you make a decent enough offer, you could obtain the home before anyone else has a chance to do so. If you’re fast enough you’ll grab properties that other people would love to get their hands on, and when you start doing that you’ll quickly become a successful investor. Hopefully, all this information makes it a bit easier to understand how foreclosure listings in Phoenix, AZ work and how to make the most of foreclosures. There’s no simple way to obtain good priced foreclosed homes, but all these tips together should give you at least an idea of how to proceed. Keep them in mind when looking at different properties, and strike on the homes that seem like a truly excellent deal before someone else does.